Preheat oven to 350 degree Fahrenheit. Line a cookie sheet with foil; set aside. In a large bowl combine oats, sugar, flour, and baking powder; set aside. In another bowl combine melted butter, corn syrup, and cream. 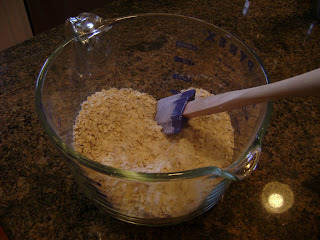 Add butter mixture to oat mixture and stir until combined. 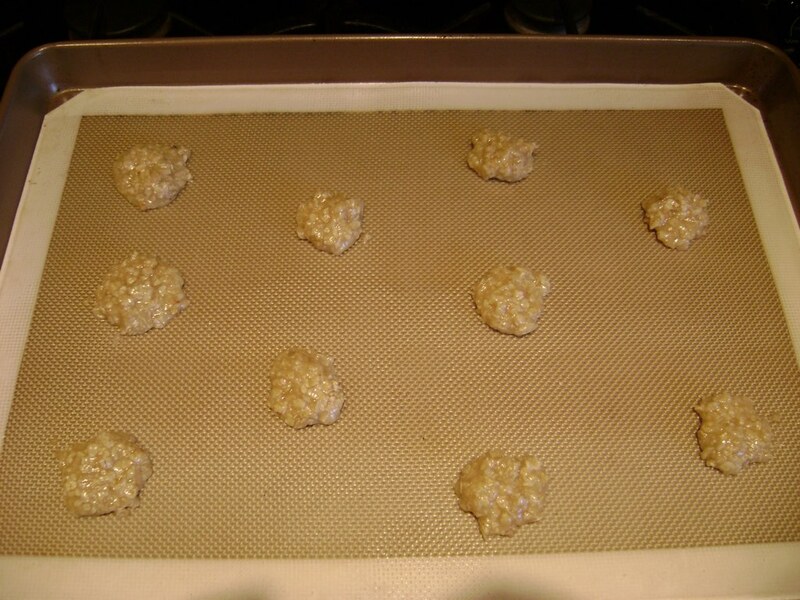 For each cookie, drop dough by rounded teaspoons 3 inches apart onto the prepared cookie sheet. 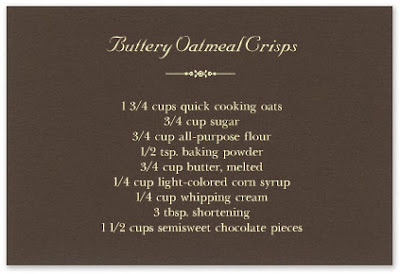 Bake 10 to 12 minutes or until bubbly and golden brown around the edges. 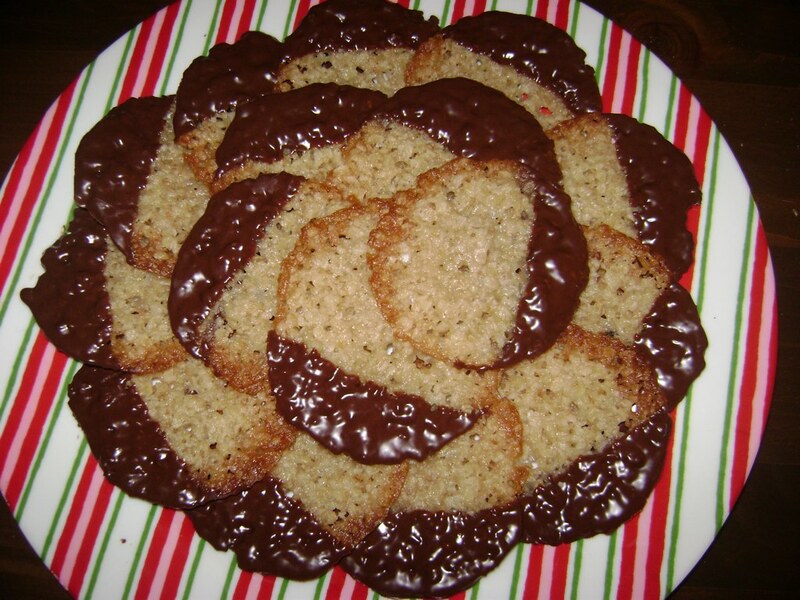 Cool cookies on foil. 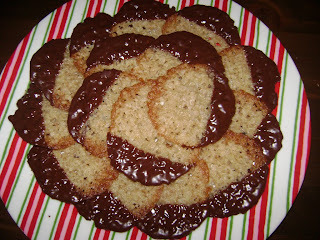 Carefully lift edges of cookies, and then peel cookies off foil. In a small heavy saucepan heat chocolate pieces and shortening over low heat until melted, stirring occasionally. 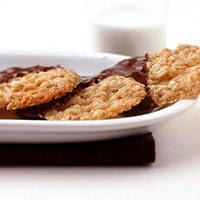 Dip one half of each cookie into chocolate mixture. Place on waxed paper to cool until chocolate is set.